Did you know you’re likely practicing Montessori parenting without realizing it? 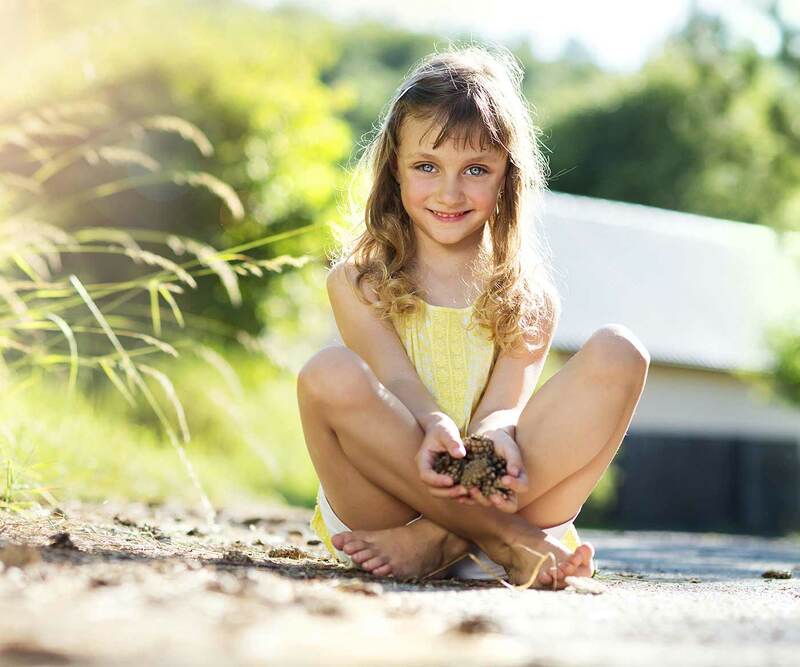 Discover these 12 ways you’re applying the Montessori philosophy at home. Confession time: I still brush my five-year-old twins’ teeth. Whenever I can help it, I go straight to brushing their teeth, assuming of course that I can do a better job of preventing cavities. Not to mention it’s 10 times faster for me to squeeze the toothpaste, fill their cups, and actually brush their teeth than if I left the job to them. My husband, though, has no time for that. Whenever it’s his turn to bathe the kids, he simply tells them, “Okay, brush your teeth.” In fact, had it not been for him, my kids would probably still need me to tie their shoes and dress themselves. In his quest to get our kids to do more things (and he less), he has unknowingly been following one of the principles of Montessori parenting. And he’s likely doing it without even realizing it. I’m not unfamiliar with the Montessori philosophy. Even when my eldest was a mere baby, I was already reading materials about Maria Montessori. Later, I enrolled all three kids in a Montessori preschool. But I had never rigidly followed the Montessori way of living. For instance, I put my kids to sleep in cribs, and had them eat in high chairs—both that, for the true Montessori fan, would likely be a no-no. Still, over time, I realized that we do apply a lot of Montessori practices in our parenting, even if we weren’t always intentional about it. From the day-to-day family life, to how our kids learn, and especially with discipline, I’ve turned to Montessori parenting more than I realized. And I’m willing to bet that you are, too. I may have used cribs and high chairs, but I’ve also bought furniture and toys that are conducive for my kids to comfortably use on their own. For instance, we have a set of child-sized table and chairs that are perfectly suited for my kids to sit and use. I’m also a fan of creating an environment safe for kids to explore, baby-proofing every room so they have the freedom and safety to explore on their own. You likely do the same in your home. Perhaps you’ve drilled a hook low enough on a wall for your child to easily hang his coat. Or maybe you installed a pretend kitchen he can use to “cook” alongside you (this is the one we have). You might have even created a drawer of snacks he can easily reach and help himself to come snack time. The idea behind all this? That kids thrive in an environment suited for them, not for adults. This is why you’ll find child-sized chairs and tables in preschools, or that their paintings are displayed at their eye level, not ours. Montessori parenting encourages self-sufficiency, perhaps a lot earlier than you might think. At first, expecting your child to put his shoes on by himself can seem impossible, but that’s only because you’ve never known anything but doing it for him. But once you actually give him a chance to do things on his own, more than likely, you were blown away by how quickly he learned and improved. For parents who’ve had a second child, this drive toward self-sufficiency happened because we had no other choice: we needed our older kids to start doing things for themselves because we simply couldn’t do it for them any longer. That might mean fetching his favorite cup from the kitchen cupboard, even if it meant he had to move and climb the step to reach it. Or perhaps he had to line up at school all on his own without you walking him through the door because the baby was fussy. 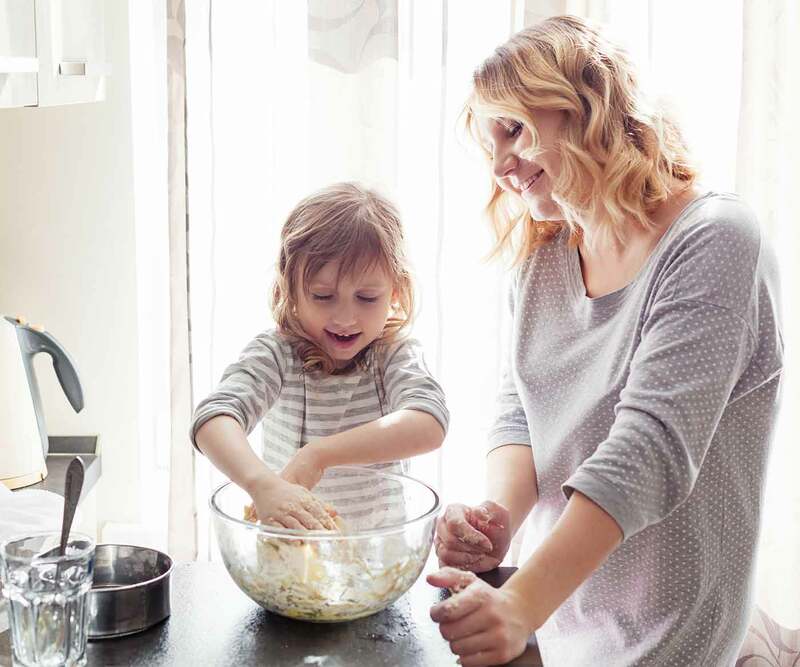 Baby or not, any time you’ve encouraged self-sufficiency in your child, you’ve been following one of the main principles of Montessori parenting. Get more tips on how to encourage self-sufficiency. Along with self-sufficiency, giving your child responsibilities falls in line with Montessori parenting as well. It’s easy to do everything for our kids, but handing those responsibilities to them nurtures competence and healthy habits that will serve them well. Maybe that’s creating a to-do list they need to follow every morning (change clothes, brush teeth, pack lunch) before you leave for school. Perhaps that’s giving them a child-sized broom to clean up the mess they make, or having them sort laundry instead of you taking on the task yourself. The more you include your child in your day-to-day tasks and let her help, the more responsibilities you’re inevitably giving her. Take a look at the benefits of giving your child responsibilities. I was at a children’s museum with my then-toddler, admittedly bored out of my mind. He had been playing with the same display (a “bus” that could open and close its doors, for crying out loud) for what seemed like forever. But it was actually in that moment when I realized we adults have a strange habit of rushing through life. I’d feel the same way when we’d take neighborhood walks, and he’d want to squat to inspect a dandelion or a leaf. Meanwhile here I was thinking about all the things still left to do back home. But with Montessori parenting, you realize that an over-scheduled calendar only overwhelms your child and denies her the chance to play on her own. And you understand that a rushed life doesn’t allow for down time or creative play and exploration. Rest assured, all the times you chose to follow your child’s lead and pace, no matter how busy you felt, has only served her well. 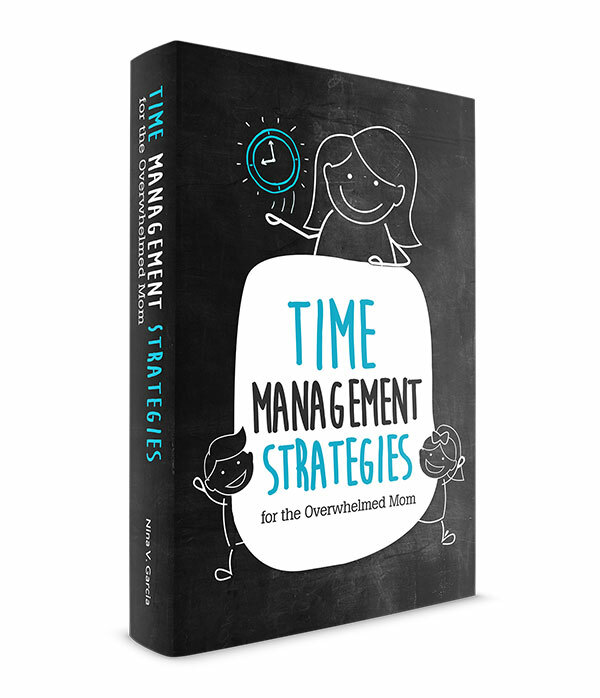 Get more tips about the importance of downtime. Here’s the truth: kids are going to learn a whole lot more when they’re actually interested in what they’re learning. Sure, you might be able to drill the multiplication table into your third grader’s head through force and repetition… but she’ll not only remember it better, but also see it in a positive light when she’s curious and eager to learn. That’s why it’s important not to impose your version of what your child should learn, but follow her lead instead. Maybe that’s when you borrowed a pile of library books all about dinosaurs because she wouldn’t stop talking about them. Or you bought her a set of pretend cooking toys because she’s been really eager to help you cook. 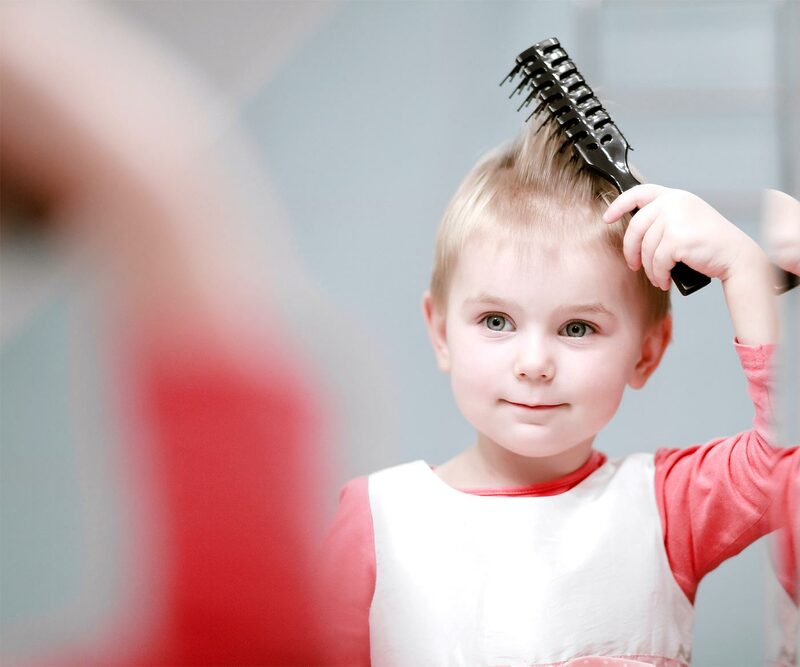 Following your child’s cues takes advantage of the natural curiosity she already has—you’re simply fueling the fire that’s already there, making teaching her that much more effective. Discover unique ways to raise a child who loves to learn. Talking or reading about interesting things can’t compare to actually experiencing them for yourself. One of the best ways to learn is through using as many of your senses as possible. For instance, you can talk about how a seed grows, but nothing beats actually guiding your child to planting one and watching it morph into a plant. Taking her to different places is another fantastic idea. Perhaps you’ve even combined this with following her cue and taking her to a place to encourage her interest. That might mean going to a botanical garden to further nurture her curiosity about seeds and plants, for example. I’ll admit, my boys have their fair share of “character-driven” toys, or toys that tend to favor one type of play. From the Paw Patrols to the PJ Masks, these toys already came equipped with character traits and a certain way to play with them. But for the most part, nearly all their toys fall under open-ended play, or the type of toys that don’t have limits on how they’re played with. I’m willing to bet that you do, too. You likely have art supplies and crayons that encourage creative art, or play dough and building blocks that can transform into anything. You might even have a bin of pretend clothes that allow your kids to don a new identity. 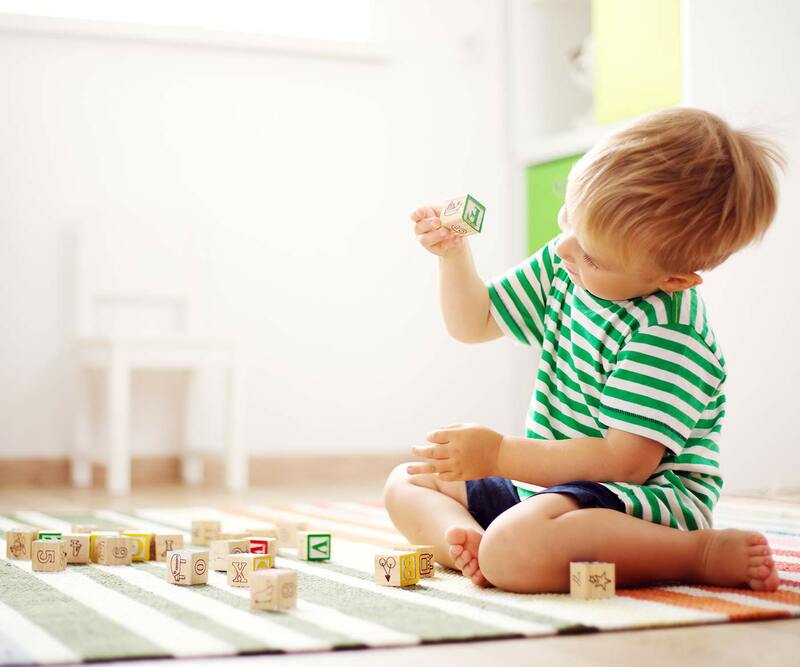 Montessori parenting favors open-ended play, as it doesn’t limit the child’s imagination and instead allows him to direct the play as he sees fit. Get more tips about encouraging open-ended play. As tempting as it is to use baby talk or silly words, talking in a normal way and using everyday language helps your child to better communicate. No, you might not use five-syllable words (unless of course you’re talking about a hippopotamus! ), but you probably don’t shy away from using challenging words, either. Words and sentences that might be a notch higher than what your child is used to, but one she can eventually figure out in context. You see, that’s truly the best way for kids to learn new words. Holding up flash cards alone doesn’t do nearly enough when compared to simply using them in your regular conversations, and allowing the context to provide the meaning. Get more tips on how to encourage your late-talker to speak. Empathy is by far the first advice I often suggest to parents. Putting ourselves in their shoes makes us more patient and melts their defenses. Who can argue with someone when they’re on the same side as you? Being able to show empathy is key to Montessori parenting. We’re not simply reacting to our kids’ behavior, but truly trying to understand where they’re coming from. What motivated them to behave that way? What external reasons (hunger, tiredness) could’ve contributed? Any time you’ve said, “I know, I’d feel the same way, too,” or “It’s hard, isn’t it?”, you’ve shown a bit of empathy that brought you closer to your child. As frustrating as your child’s behavior may be, a lot of it can be prevented simply by seeing things from her perspective. 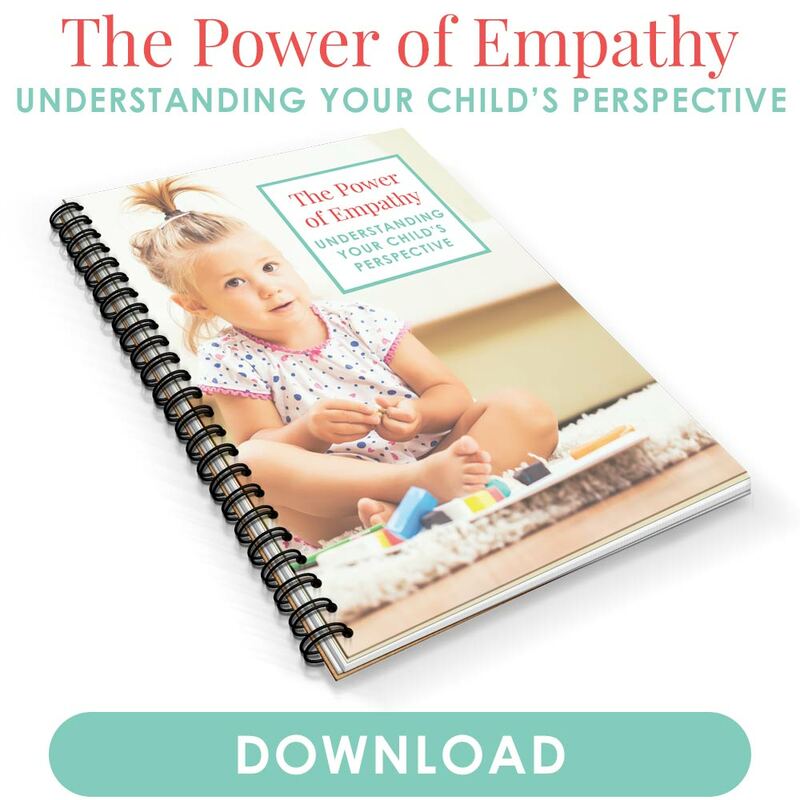 In my PDF, The Power of Empathy, you’ll learn how empathy is truly the secret key that makes a huge difference in how we interact with our kids. Montessori parenting encourages empowering children, especially through making their own choices. This doesn’t mean they get a choice in everything, but rather, from time to time we include them in our decision-making process. We also give them choices in unsaid ways, such as giving them free reign on which toys to play with, or perhaps the order of the chores they need to do. All these simple choices add up to give your child a chance to practice decision-making. Learning how to make the right choice is like any other skill that needs to be developed. Get more tips on how to encourage your child to make good choices. Montessori parents don’t just talk the talk, they follow through with their actions as well. Sure, you may have yelled at your child to stop yelling (ironic, right? ), but for the most part, you let your actions do the talking. You treat them just as kindly as you would want them to treat you and others and eat healthy food so they can follow suit. You do all these things not just for your benefit but for theirs as well. Get more tips about the importance of modeling behavior. Perhaps the most important tenet of all, respecting your child goes beyond Montessori parenting into plain good advice. You’re not perfect of course, but you value your child and respect him for exactly who he is. You don’t try to change him into someone he’s not, and you speak to him with as much respect as you would another person. More important, respecting your child confirms that you may at times not like his behavior, but you always love him, no matter what. Learn one guaranteed way to show you respect your child. Perhaps this is enough to convince even me to let my five-year-old twins finally brush their teeth on their own. 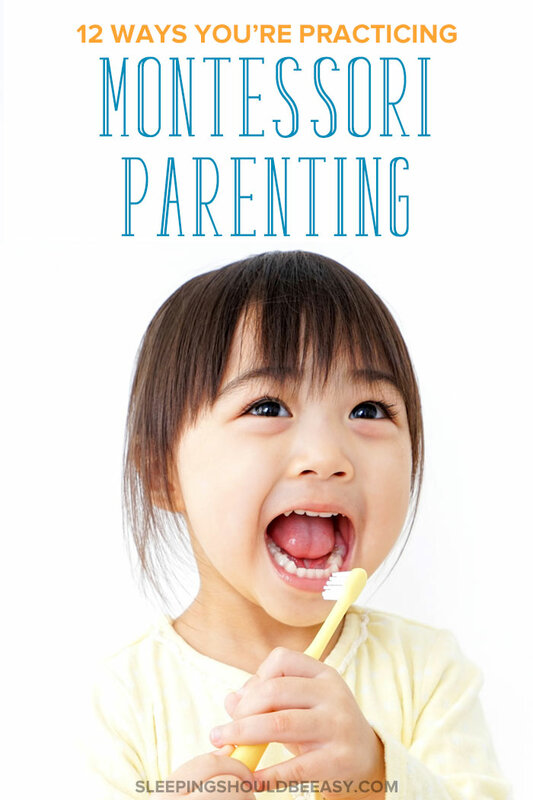 Tell me in the comments: How are you practicing Montessori parenting at home?